Our Tortilla Chips are cooked in 100% Avocado Oil and made with organic white corn masa. Trust us our Tortilla Chips are a great pair with our Guacamole and Salsa. At Guacamole King we spent a lot of time perfecting our Tortilla Chips. From the way it's made, down to the oil that it is cooked in. 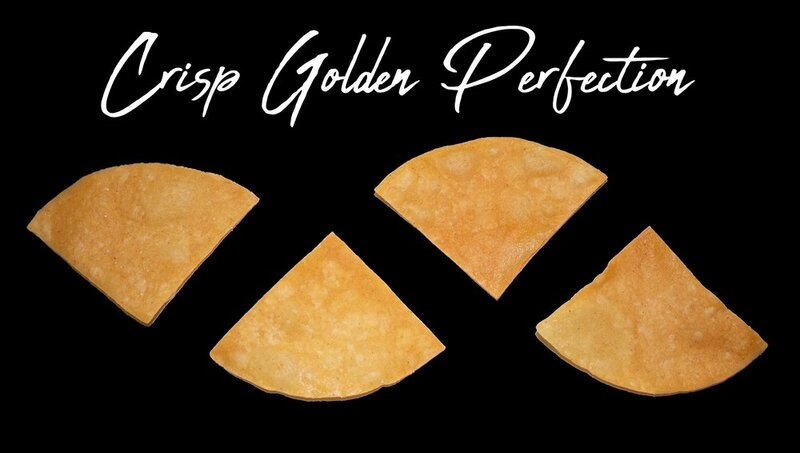 It's all a science but we believe that you will be astonished just how amazing these chips really are. Deciding to go with Avocado Oil to cook our Tortilla Chips in was a No-Brainer for us. The rich smooth taste Avocado Oil creates is a remarkable compliment to our guacamole and salsa. Our Tortilla Chips are Non-Gmo and Gluten Free.